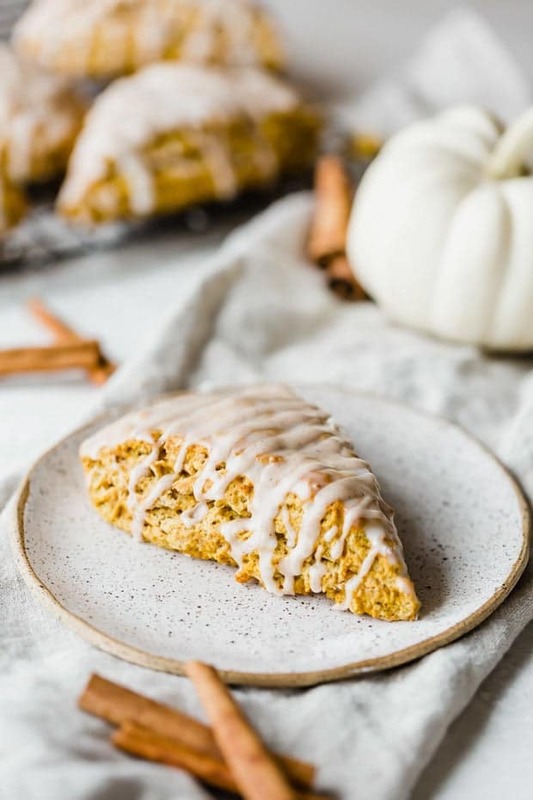 This delicious Pumpkin Scones recipe has a warm array of spices and it’s topped with two irresistible glazes. 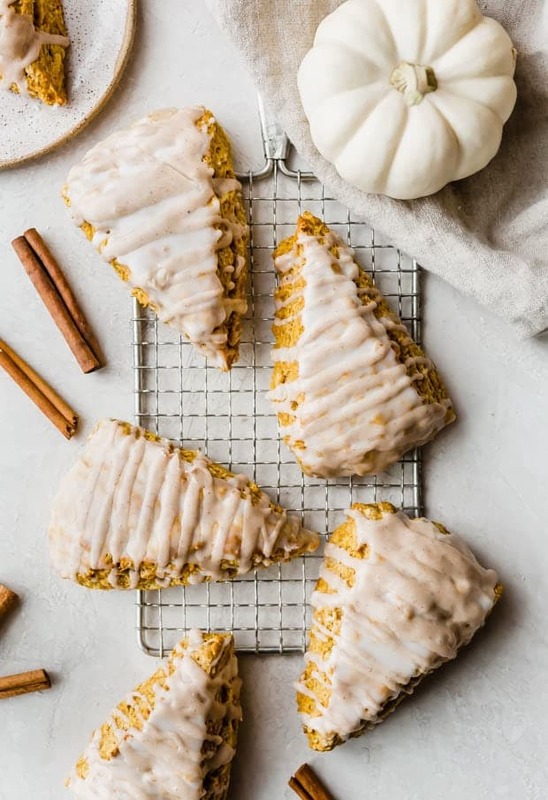 If you’ve been looking for a copycat version of Starbucks pumpkin scones, you’ve come to the right place! I have good news for you… this pumpkin scones recipe is NOTHING like that! We’re talking polar opposite. 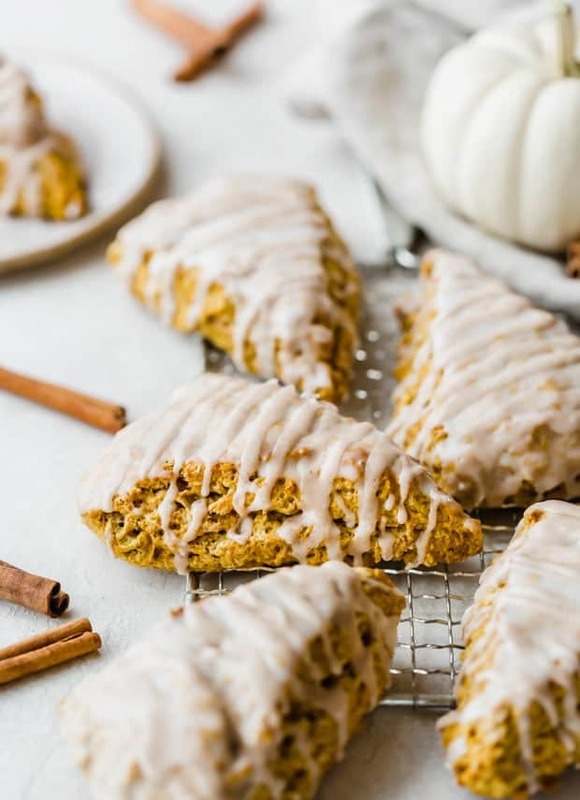 These easy pumpkin scones have SO many spices and in return a beautiful warm pumpkin flavor. 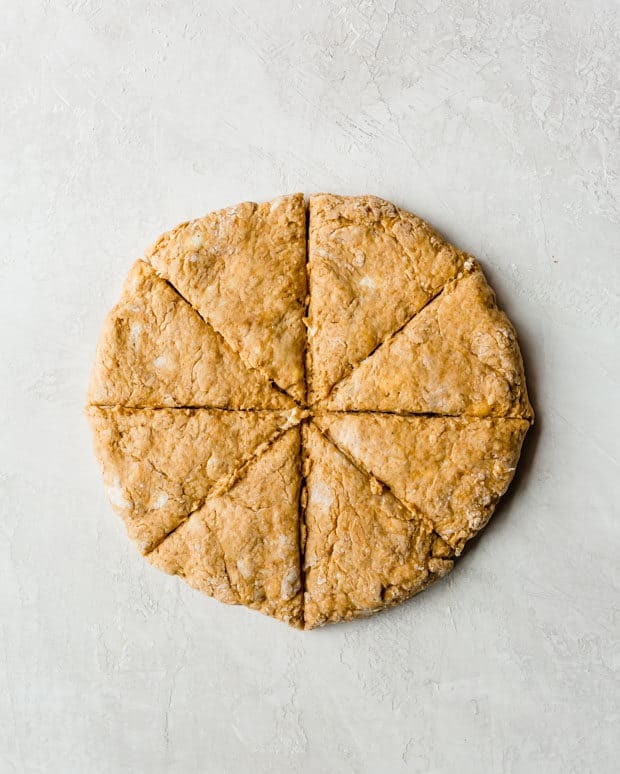 When you bite into this delicious scone, you’ll taste the cinnamon, the pumpkin, the cloves, and a hint of nutmeg and ginger. If you’re worried you’ll be smacked in the face with too much spice flavor, don’t fret. That won’t happen. I think you’ll be shocked at how perfect these pumpkin scones really are. Whisk the wet ingredients until smooth. I know a bunch of you are probably wondering what kind of milk you should use. It doesn’t matter. I used 2%, it worked great. 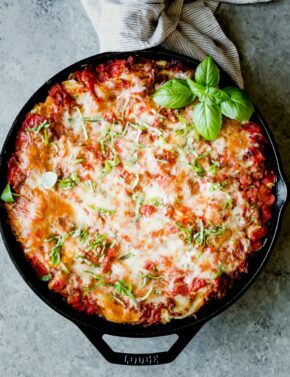 You can even use half and half or heavy cream if you’d like. Moving on to the dry ingredients, lets add them to a large bowl. 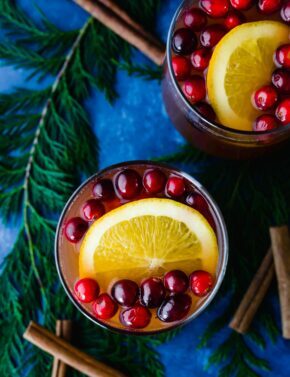 Whisk the dry ingredients until everything is evenly combined. Add the cold, cubed butter to the dry ingredients. Using a pastry blender cut in the butter. Butter contains both fat and water. 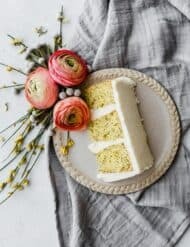 At normal baking temperatures, water creates steam. By laminating cold butter between layers of dough, you create pockets to contain the steam formed during heating. When little crumbles of butter melt in the scones as they cook, they release steam and thus create small pockets of air in the scone. The end results in a better rise and a flaky biscuit/scone. 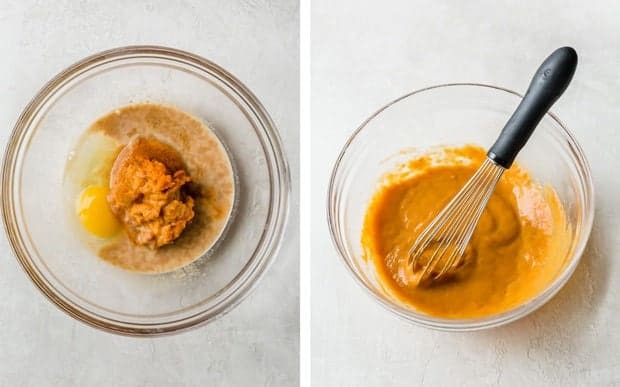 Once you’ve cut the butter into the dry ingredients, grab a spatula and mix the wet pumpkin ingredients into the dry ingredients. The dough will look very dry, but it’s not. You can use your hands to help the dough come together. Pat the dough into an 8 inch circle. Cut 8 triangle wedges. 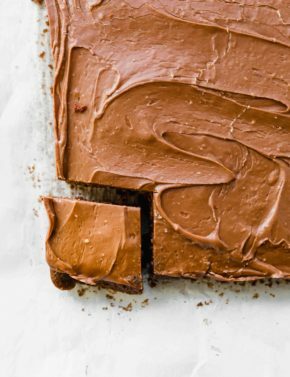 Place them on a baking sheet and bake until golden brown. As the scones are baking, make the two scone glazes. 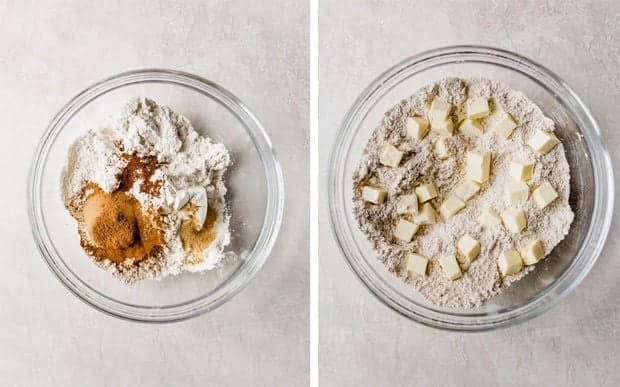 Simply whisk the ingredients in two separate bowls. One bowl for the regular glaze, which will be brushed on with a pastry brush. And a second bowl for the spiced glaze which will be drizzled after the first glaze has set. When making the glazes keep in mind their consistency. If the glaze appears too runny add more powdered sugar and if it appears too thick add more milk. If you want to make a large batch of scones, double the recipe. Every time I make these scones I regret not making more! We devour them. 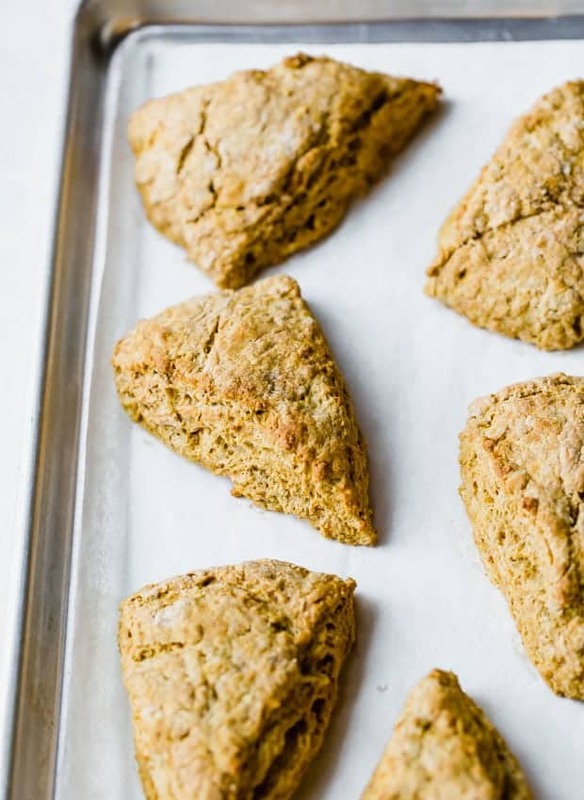 This is an easy scone recipe that will urge you to go back for seconds… and thirds. They are THAT good! Pumpkin scones that are thick, moist, and tender. These scones are topped with an irresistible spiced glaze. Preheat oven to 425°F. Line a baking sheet with parchment paper, set aside. In a large bowl whisk the flour, brown sugar, cinnamon, baking powder, salt, nutmeg, cloves, and ginger. Cut in the butter using a pastry blender. Work it until the butter is no larger than the size of peas. It will resemble a crumble. Set aside. In a medium sized bowl add the pumpkin, milk, egg, and vanilla. Whisk until smooth. 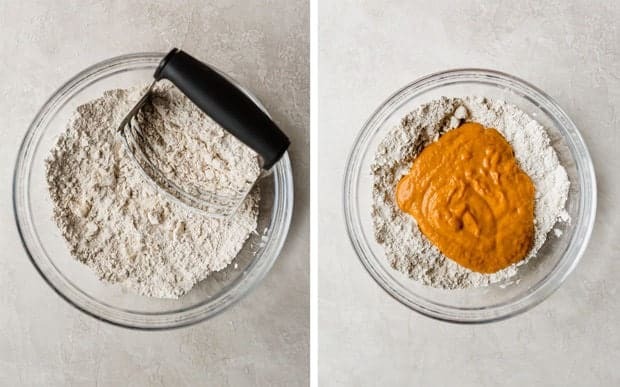 Using a spatula, fold the wet ingredients into the dry ingredients. Turn out the mixture onto a clean work surface and knead until everything is evenly combined. The dough will be fairly sticky. Pat the dough into an 8 inch circle. Cut into 8 equal triangles. Place scones on the prepared baking sheet. Bake for 15-17 minutes, or until lightly golden brown. Remove from oven and allow to cool for 20 minutes before glazing. Make the glazes by combining them in 2 separate bowls. Whisk to combine the ingredients. Use a pastry brush to brush the white glaze overtop each scone. Let set for 10 minutes before adding the spiced glaze. Using a spoon, drizzle the spiced glaze overtop the regular glaze. Let set. Serve. I’m obsessed with these pumpkin scones! They’re everything you say they are: yummy, moist, flavorful! This is just what I’ve been looking for to spice up my fall season 🙂 Thanks for sharing! 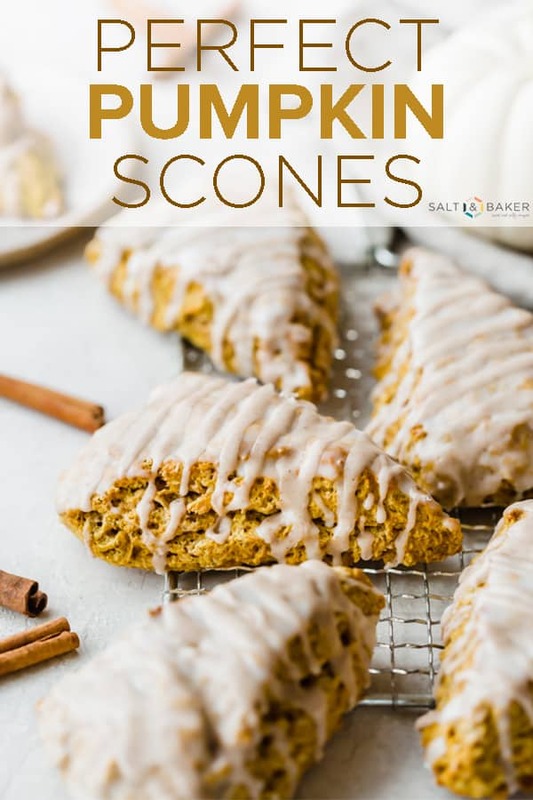 Love these Pumpkin Scones❣️ Great instructions on how to make them too! Easy!